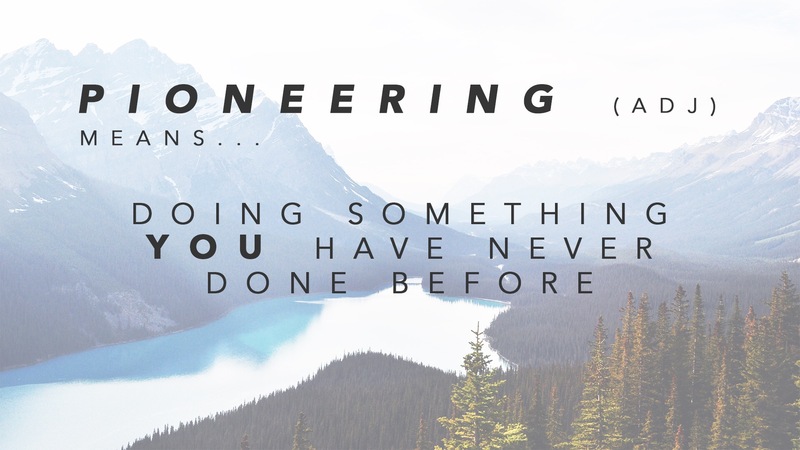 Two alternative thoughts each day this week about pioneering from my message this Sunday. Just a different way to think. If we way this then maybe we make pioneering too exclusive. What have others never done that we could do? That may be the excuse we are looking for to not even bother trying. Yet one definition of pioneering is to be someone who takes the LED and therefore becomes an example. This means that we don’t have to find a brand new something that others haven’t done. Just do something YOU haven’t done before. For example, my church, Xcel are about to officially become 1 church in 4 locations, with Xcel Bangalore launching on Sunday 28th August. We are not the first church to launch another location. Does that mean we are not pioneering? Of course not. We are the evidence of the second statement and pioneering by doing something we have never done before. What could you do that you have not done?